PLEASE NOTE: Google have recently made a change which will mean that new Chrome OS devices will not support unmanaged kiosk mode. You will need a Chrome subscription license for each of your Chrome devices to run your them in kiosk mode. Without this, you will not have access to Google's Chrome Enterprise tools, which you now need in order to set up an app like ScreenCloud to run in kiosk mode. If you need a Chrome license you can purchase this through our partner Promevo. Digital signage was once notoriously expensive. The main reason? Media players. With simple digital signage displays and simple media sticks like the Amazon Fire TV Stick and Google Chromebit work great. But occasionally, you need to power higher bandwidth content such as streams of videos, live video or huge media files. In this guide we’ll walk you through the Google Chromebox digital signage player, how to install it and what type of content and system it gels best with. If the Chromebit is like having a helpful USB stick power up your screens then the Chromebox is like having your screens powered by a laptop. It’s size is 124 x 124 x 42 mm so it’s slightly bigger than the Chromebit but it comes with more RAM, more memory, four USB ports and even has a Wireless Chrome OS keyboard and mouse included when you buy it from Amazon. If none of that makes sense to you then let’s just say; for high-resolution and heavy content it’s your best bud. When using a Chromebox for digital signage, we recommend running the ScreenCloud app in kiosk mode. Kiosk mode allows you to run a single app and lock it down so no one can interfere with it. Also, if there's a power failure or the app crashes for some reason, the device will auto launch the app again. It's perfect for digital signage and very useful if you're using the screen in a public area. In order to use the ScreenCloud app in kiosk mode you will need to get access to Google’s Chrome Enterprise tools, which requires paying an annual fee per device for a Chrome license. Having access to Google’s Chrome Enterprise tools comes with a lot of benefits though. Besides being able to use the ScreenCloud app in kiosk mode you’ll also get features like device monitoring and reporting, remote updates, remote device rebooting, device offline notifications and more. 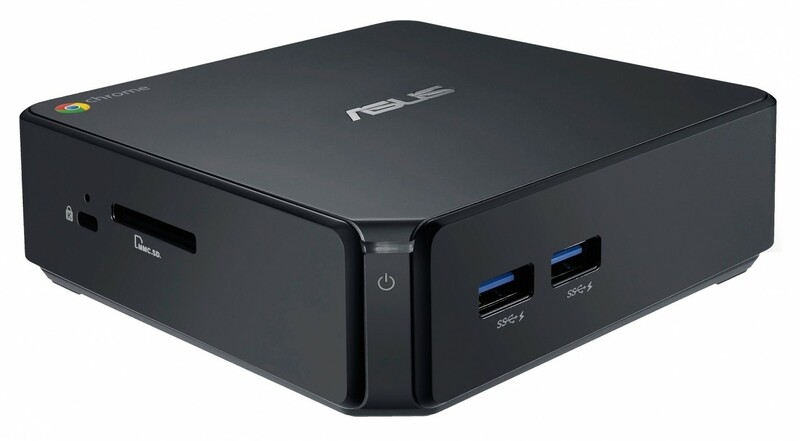 To summarize, the Chromebox is great for setting up digital signage as it’s a truly business ready device, with the features needed to set up a digital signage project knowing that managing and monitoring your digital signage devices will be easy. In order to access these features there are some additional costs but we believe they are well worth the value. At around $200-$250, you can pick up these devices from multiple retailers such as Amazon, B&H Electronics, Best Buy, and more. It’s not the cheapest option, but it’s great for demanding content and signage solutions with slightly more budget, that have room to house it. Once you’ve ordered your Chromebox, use this simple guide to get it setup. When you plug in your new Chromebox one of the first few steps will be to choose and connect to a WiFi network of your choice. Once you’ve done this your WiFi details will be saved so that you’re always connected to the internet. After following the on-screen instructions like adding your WiFi details you will see a sign-in screen. Don't sign in yet. Instead, press Ctrl+Alt+E to go to the enrollment screen and login with an account that is connected to a Chrome license that you will use to enroll your Chromebox in Chrome Enterprise. Note that you will have to do quite a few steps in order to purchase Chrome licenses and set up Google’s Chrome Enterprise tools. To help you with these steps, our team has created a step-by-step guide which walks you through how to Set up ScreenCloud in Kiosk Mode on a Chrome Device With a Chrome License. If everything was set up correctly, when you login with your account and enroll your Chromebox the ScreenCloud app will download and load in kiosk mode automatically. 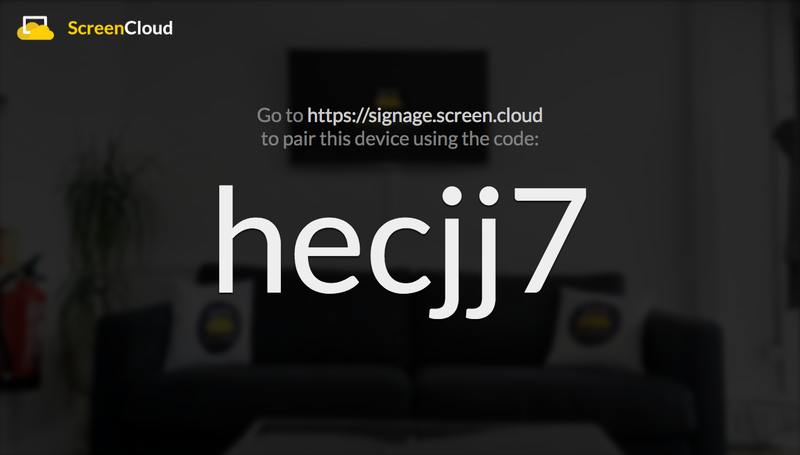 Once the ScreenCloud app has loaded, you’ll see a pairing code that looks a little like the below. Once you have this, open https://screencloud.com on your laptop or PC and sign up for a ScreenCloud account. Once you’ve signed up, you can choose "Add screen" from the screen below. Enter your pairing code from the previous step and that’s it! You’re now running content on your screen from your PC or laptop. Now you’re in control of what’s showing on your screen you can start adding images, videos, presentations and webpages and incorporating apps such as social media feeds, RSS and news feeds. Once you’ve added your content of choice, you can then organise it all using the playlist and scheduling tools. Drag and drop different forms of content into one easy-to-assemble playlist and then choose when you want it to show. Sound good? 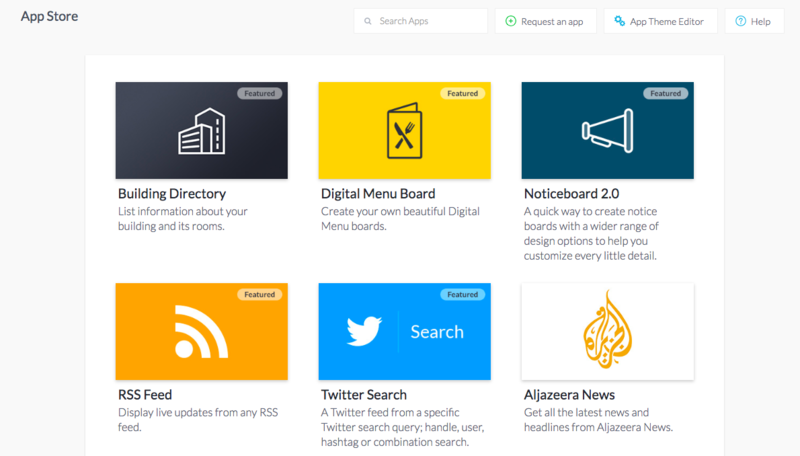 Awesome - sign up for a free trial at ScreenCloud today to give it a whirl!